Tesla Motors confirmed last Thursday the first fatality involving its all-electric Model S vehicle which is equipped with a partially autonomous driving system. The company confirmed that the “Autopilot” system was activated at the time of the accident, but failed to distinguish the white side of a turning tractor-trailer from a brightly lit sky and didn’t automatically activate the brakes. Tesla said Federal officials were investigating the performance of Autopilot during the crash to determine whether the system worked “according to expectations”. “Following our standard practice, Tesla informed NHTSA about the incident immediately after it occurred. 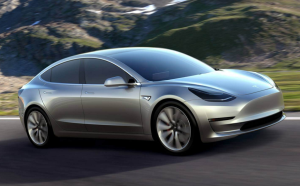 What we know is that the vehicle was on a divided highway with Autopilot engaged when a tractor trailer drove across the highway perpendicular to the Model S,” reads the company’s press release. The innovative carmaker, however, was quick to point out that it “disables Autopilot by default” and requires explicit acknowledgement that the system is new technology and still in a public beta phase before it can be enabled. “When drivers activate Autopilot, the acknowledgment box explains, among other things, that Autopilot “is an assist feature that requires you to keep your hands on the steering wheel at all times,” and that “you need to maintain control and responsibility for your vehicle” while using it,” it says in the press release. The company also paid their respect to the vehicle owner, the 40-year old Joshua D. Brown, of Canton, Ohio, and expressed their condolences to his grieving family. “The customer who died in this crash had a loving family and we are beyond saddened by their loss,” Tesla said.